Eleven-year-old tomboy Toni (a showstopping Royalty Hightower) is bewitched by the tight-knit dance team she sees practicing in the same Cincinnati gymnasium where she boxes. Enamored by the power and confidence of the strong community of girls, Toni spends less and less time boxing with her older brother, and instead eagerly absorbs the dance routines and masters drills from a distance, and even pierces her own ears in an effort to fit in. But when a mysterious outbreak of fainting spells plagues the team, Toni's desire for acceptance becomes more complicated. 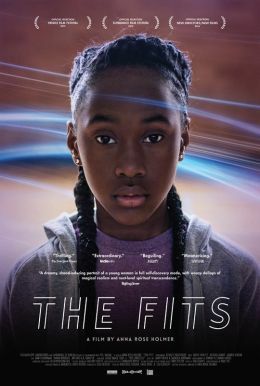 Gorgeously shot and with a mesmerizing score, THE FITS is a transformative experience and a marvelous portrait of adolescence.